Lion has been a regular part of everyday life for more than 120 years. In that time, we have seen how ordinary days, one at a time, add up to a lifetime. Moreover, we have come to believe that each new day is the first step into a bright future, and that living every day positively and to the fullest is the essence of happiness. 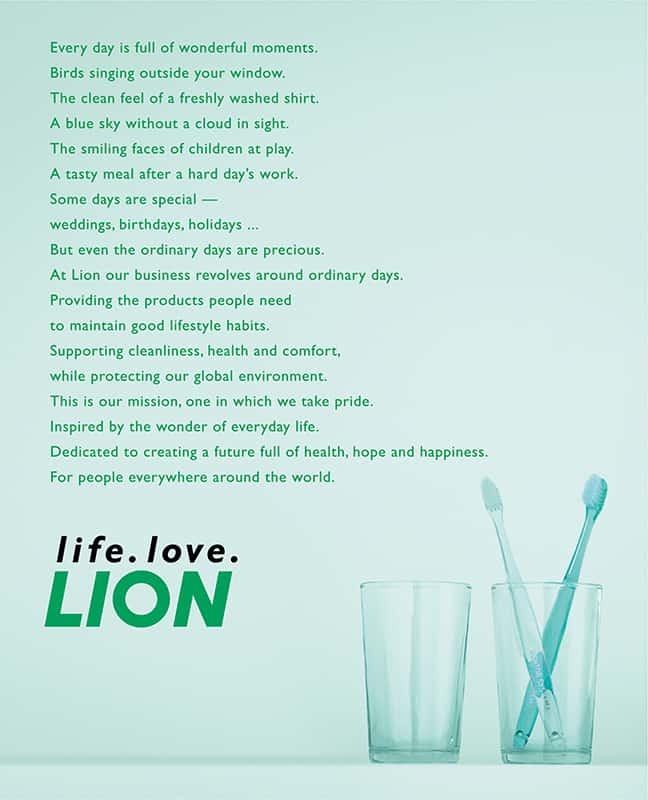 That is why we have made it our mission at Lion to contribute to ordinary life, every day, and reflected this commitment in our corporate slogan.